In a wedding submission whenever I spot wedding stationary with gorgeous handwritten calligraphy, I know that a beautiful wedding is about to unfold before my eyes! Today we are so excited to have the talented team of Chirography take us into the beyond beautiful world of calligraphy. “Calligraphy is the visual art of hand lettering that reflects a very personal manner of penmanship. In calligraphy we see the letters turning into shapes, having motion and exuding an absolutely artistic result in their whole. The Calligrapher always has his own amazing style being fully aware of the script rules of each language so as to be consistent, coherent and flawless”. “Using hand lettering calligraphy is really of great significance in our scripts, solely because the result always illustrates a very exceptional personal touch. 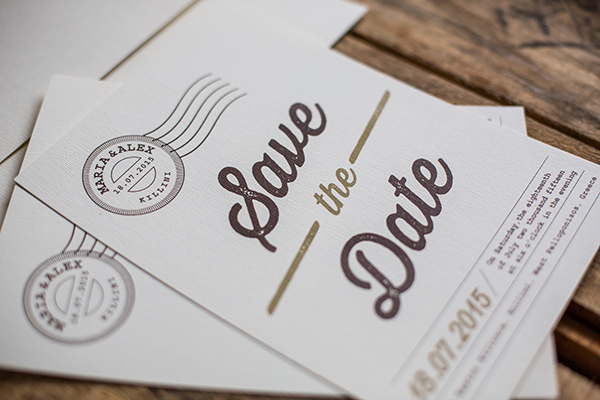 For that reason, calligraphy can be initially applied to wedding or event invitations with their envelopes, original hand-lettered logos, compliment cards, monograms, hand designed maps and drawings. 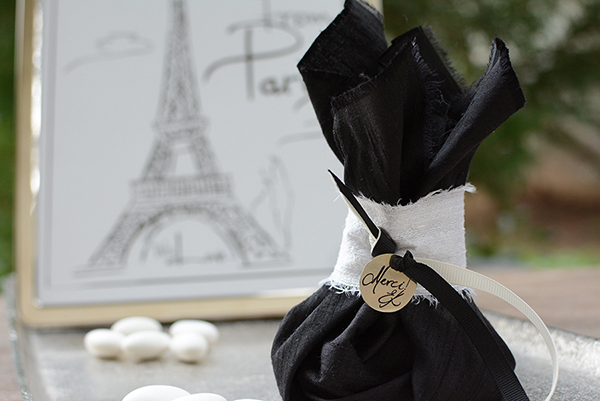 The decoration of a wedding can also be enriched, through the application of calligraphy to unique hand written messages in frames, labels at the entrance, on the welcome table, on the dinner tables. Moreover, according to the theme or the style of your wedding we use calligraphy to embellish and personalize the place cards of your guests, the menus, the dinner table numbers or names”. 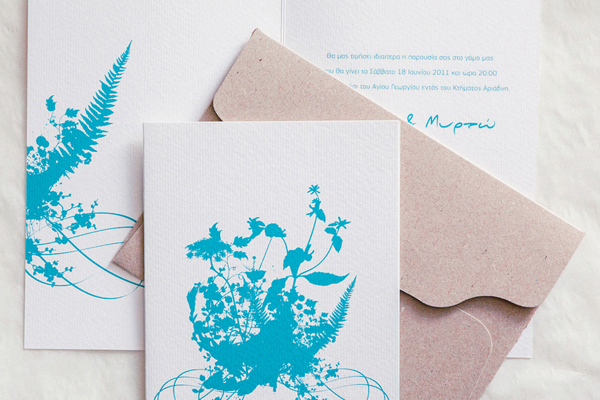 What is the actual difference between hand lettering and printed calligraphy? “In the hand lettering calligraphy we write straight away on the surfaces that we have to prepare using professional pens and inks. 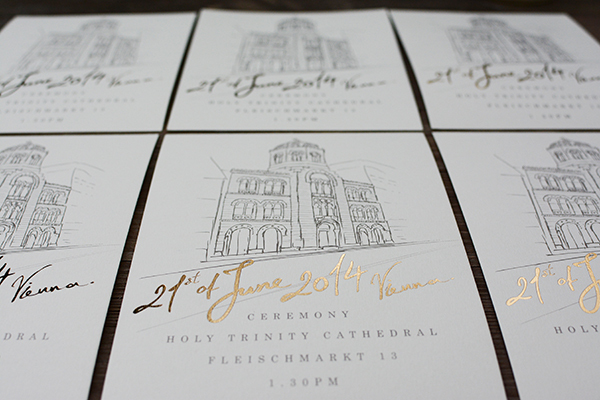 Our working methods blend traditional and modern tools so that we are able to work with print out invitations and at the same time to add bits of more artistic touches as paintbrushes, calligraphy pens, paint markers. 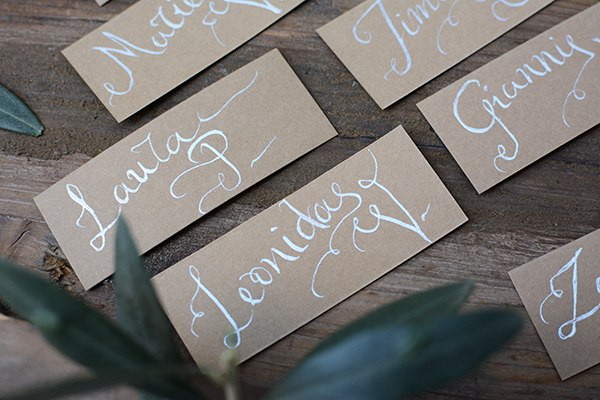 The hand lettering calligraphy helps us to produce few pieces with variable data, such as the names on the envelopes, the guest lists or cards and the dinner table numbers. Printed calligraphy is primarily based on the original handwriting which is then processed with the aid of technology. This method is more applicable in case we have a big amount of copies which share the exact same characteristics. Technology is very useful because we take more time to work into more detail so we can have the best possible result in our designs. Our goal is to keep the initial authentic approach of the handwriting skill in all our copies. All our customized designs can be applied also to metal, wood and textile covering each detail of the event”. How can we choose our style of calligraphy? 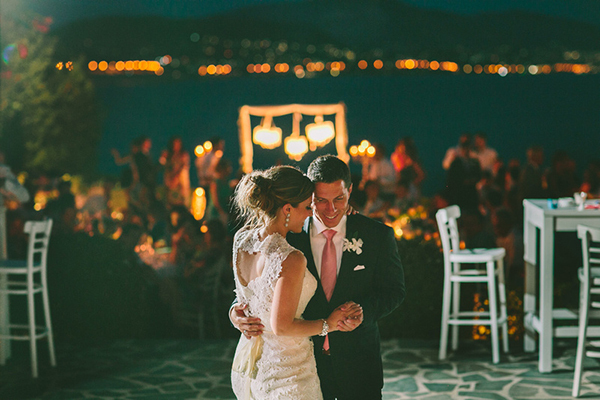 “Our philosophy is that each couple has a different story and needs to follow its own life path. For that reason we always suggest a variety of hand lettering fonts, even in combinations, in order to create a one-of-a-kind result. There is a wide range of styles in the hand lettering calligraphy in accordance to the formality or the general concept of the event. 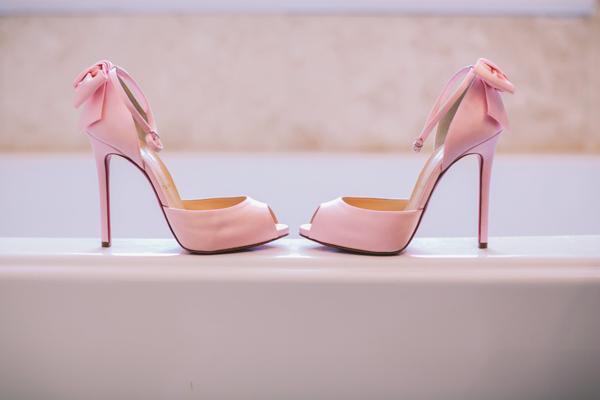 It should be noted that couples, especially those who decide upon a destination wedding, often go for a more contemporary rather than purely romantic style. 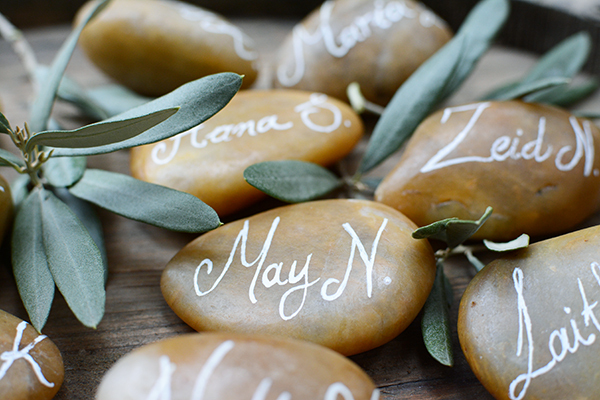 This is a hint that calligraphy is ideal for all types of weddings”. 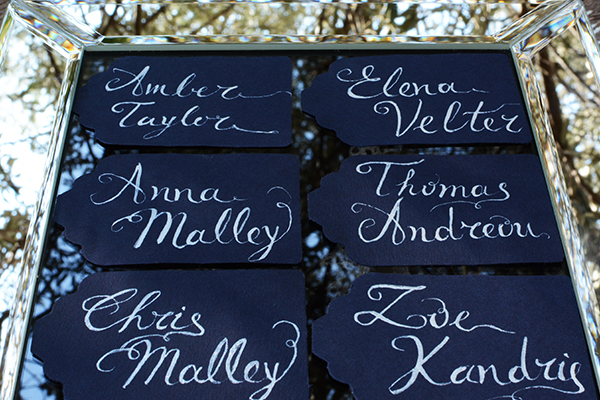 Which are the most popular calligraphy fonts for a wedding? 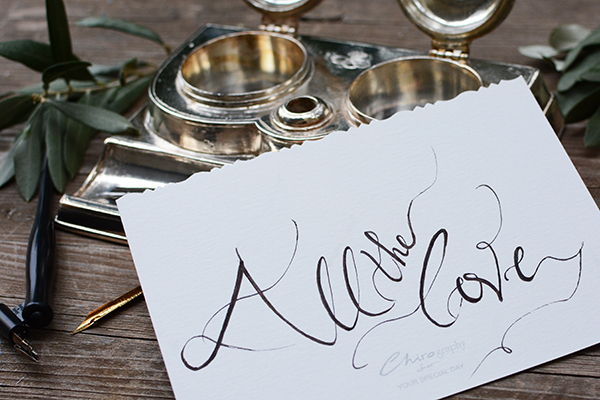 “Romantic calligraphy has still the lead in the wedding industry. Yet, more and more couples opt for more modern calligraphy fonts or experiment with variant combinations between hand and printed lettering. 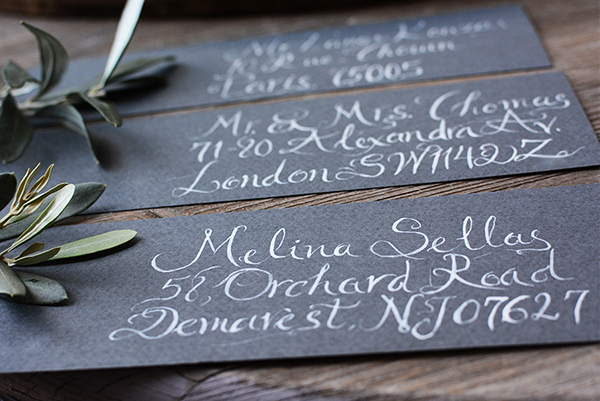 These contemporary perspectives of calligraphy are perfect for those who are set to an alternative, hip or destination wedding. To our pleasant surprise, regardless the style, an ever-increasing number of couples is turning to this most authentic and personal manner of penmanship. Let’s not forget that calligraphy has forever been an evolving technique of expressing one’s way. We admit it! We adore love stories as they are always a great challenge for us to elevate our ideas and visions”.